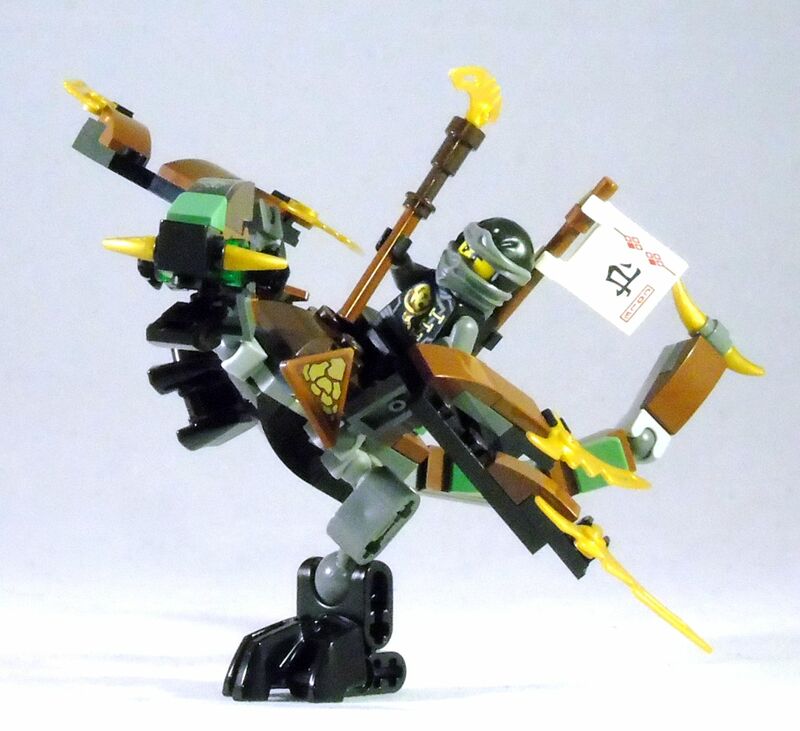 Like Nexo Knights, Ninjago is one of the current Lego themes, that feature pretty wild designs and an interesting mix of styles. Dragon riding ninjas fighting sky pirates? Sounds like a good idea to me. Especially for under a tenner! The complete set: Cole on his dragon is trying to retrieve the magic sword with the trapped Zane from Bucko, the mean piraty sky pirate! I wasn’t quite aware of what long-running series Ninjago actually is. And it seems it hasn’t run out of steam yet. At least in regards of the inventiveness of the sets, which is pretty impressive. I just remind on the Raid Zeppelin from earlier this year, which really charmed me. 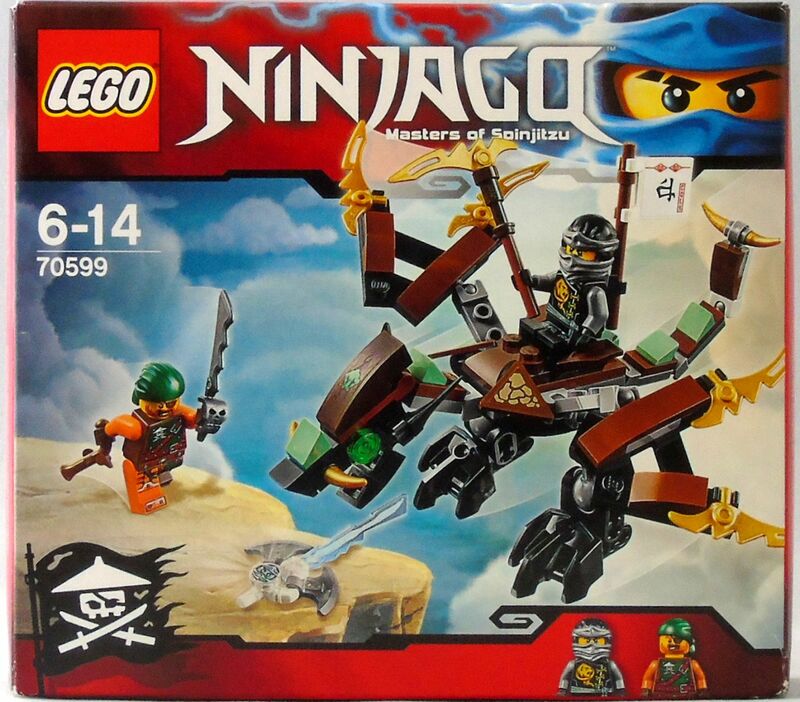 Cole’s Dragon is obviously set in the same sky pirates sub-theme, as the jolly roger on the lower left corner of the box gives away subtly. Nomnom: Cole feeding his dragon some cookies. 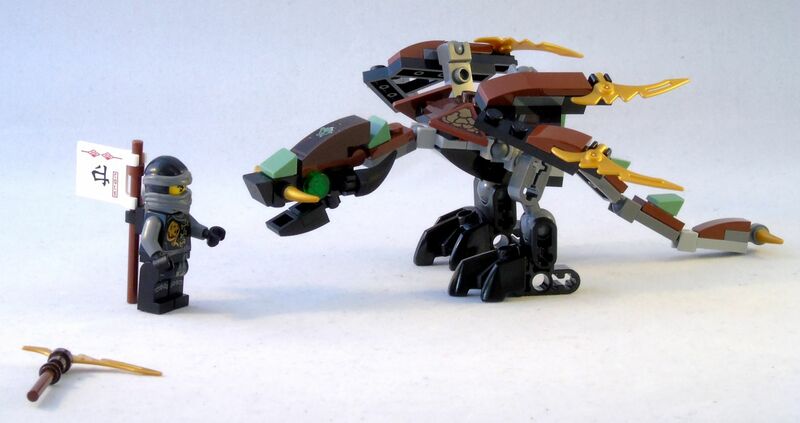 Sure, for such a low price you can’t expect a build quite as sophisticated as the Zeppelin, or even larger sets like the Green NRG Dragon, but Cole’s Dragon looks actually pretty good and has some cool colour accents and pieces. Thanks to the many ball-joints it is also very poseable, which makes it a very versatile and fun toy! Less cool though is that you cannot close the jaw. 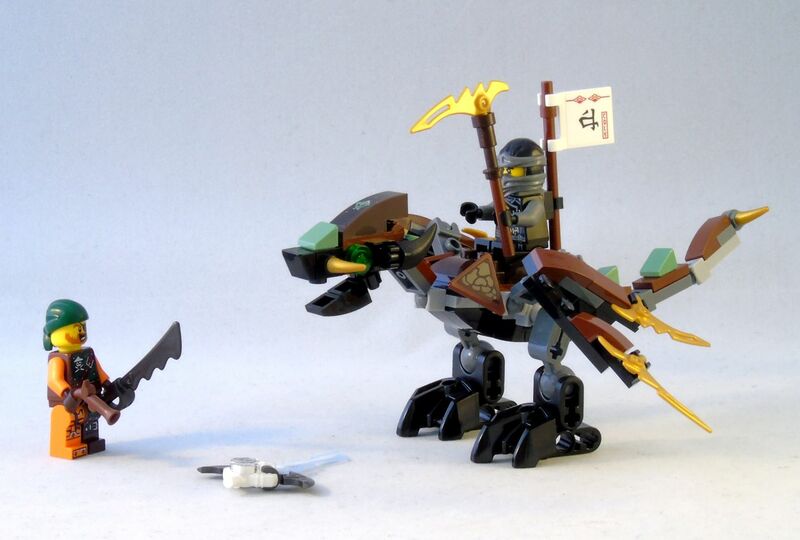 That is really a shame, since the dragon is easily in the right size to take a minifigure between its teeth and drag it into the skies. Quite a missed opportunity. 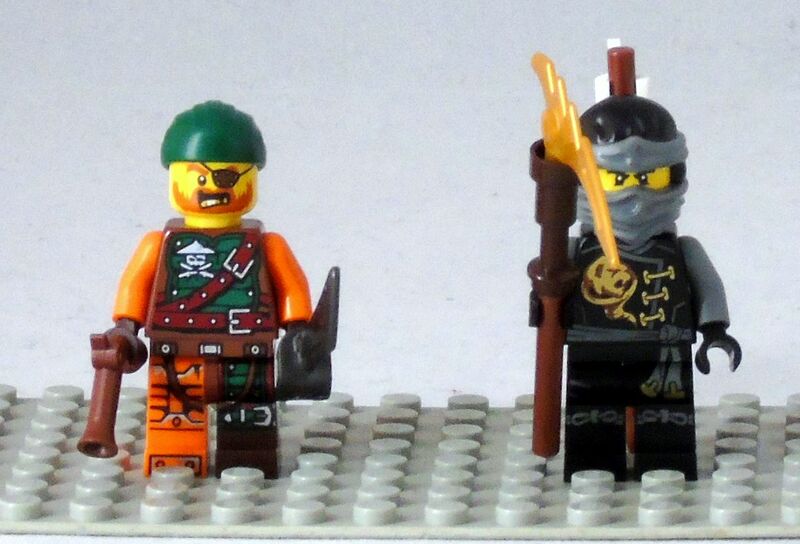 The mean sky pirate Bucky and a determined ninja named Cole. The minifigures are of a pretty decent standard, as you would expect from Lego: Bucko wears the generic uniform of his faction and his face looks appropriately mean. He is equipped with a flintlock pistol and one of the new, serrated sabres with the cool skull-handguards, which makes him look even meaner. But the more impressive outfit has definitely Cole with his black and grey ninja outfit with posh gold accents. He wields a two-handed axe with a golden blade (which he must have stolen from his dragon) and wears a flag with his name on sticking out of his backpack, because… why not! Teamwork: the dragon wrestles down the Bucko (actually he is only looking for cookies he might have in his pockets), while Cole secures the magic sword! For less than ten Euro, Cole’s Dragon is a no-brainer really. The dragon is a joy to pose and consists of quite some useful pieces (all the ball-bearings!) and the minifigures are of a high standard. Sleepytimes: a tired dragon gets petted before it takes well deserved a nap. I also think about these set. The dragon excites me.